PlexiDor panels are shatter resistant saloon-style doors made exclusively from K-9 Composite™. K-9 Composite™ is an acrylic alloy created for pet doors, similar to that of airplane windshields. The service life of this material is between 20-30 years. It’s specially created to resist damage from sunlight, extreme temperatures, and high impact. PlexiDor suggests that every 5-8 years the industrial weather seal will need to be replaced, but an inexpensive kit is available to re-seal the panels. The doors open fast and close tightly. The panels open smoothly with a gentle push from pets large and small, and close automatically. Heavy duty springs are concealed within the main frame. 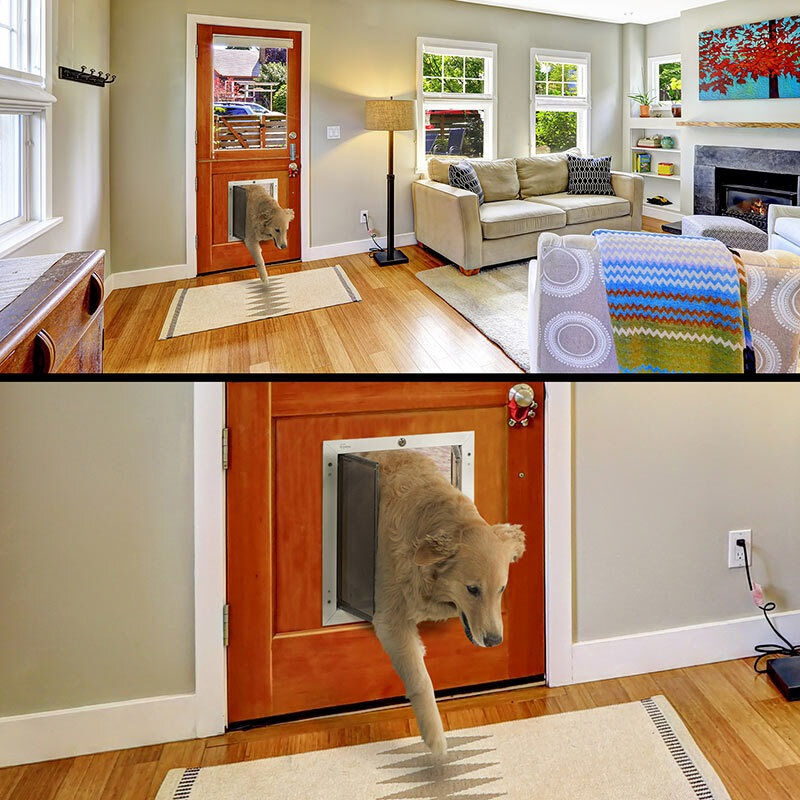 The doors close quietly without banging so they won’t disturb you or scare your pet. The PlexiDor product has a hardened aluminum interior and exterior frames that won’t rust, bend, crack, or warp. You can choose from anodized Silver, or a baked-on White or Bronze finish so it matches your home, AND stands the test of time. The PlexiDor Pet Doors offer maximum energy efficiency. The K-9 Composite panels are moulded to form a “dual thermo-pane” for excellent insulation. Both panels are lined with high-density, nylon pile weather seal for superior draft control and create a tight seal to keep heating and cooling inside your home, depending on the time of year. These features make the PlexiDor ideal for extreme climates. All of the PlexiDor products come with security features to keep unwanted guests out of your home. They secure with lock and key, and a security plate that’s ideal if you’re away from home for an extended period of time. The PlexiDor Pet Door comes with a 90 day money back guarantee and a 10 year warranty. 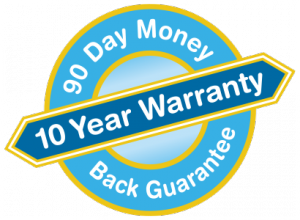 The Electronic pet door has a 5 year warranty, as well as the 90 day money back guarantee.